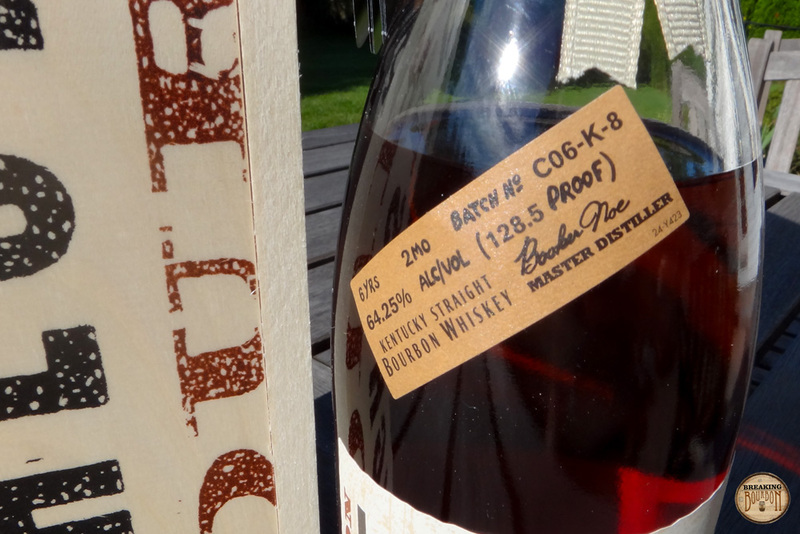 Barrel Proof, Batch #C06-K-8: Fredrick Booker Noe II was Jim Beam’s grandson and the master distiller at Jim Beam from 1965 -1992. He’s also the namesake of Booker’s Bourbon. Booker's Bourbon first came to be when Booker would hand select barrels to give as holiday gifts for friends. Eventually the popularity of these bottles caught on and Beam started to bottle in mass. 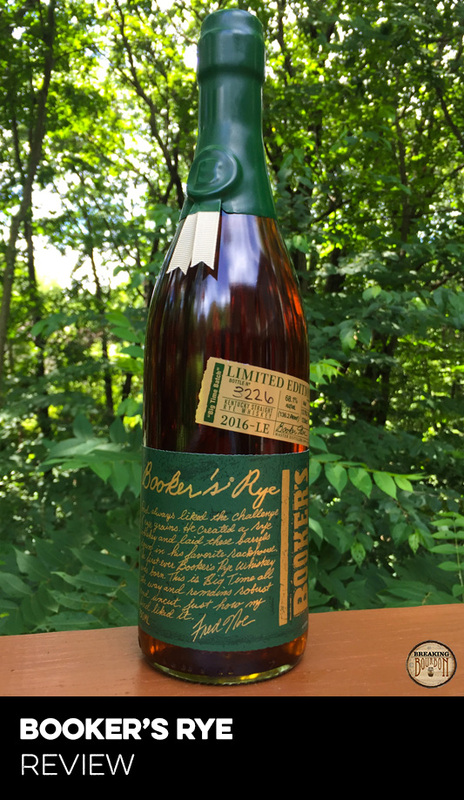 Booker’s was launched in 1988 as the first mass produced bourbon bottled straight from the barrel, uncut and unfiltered. 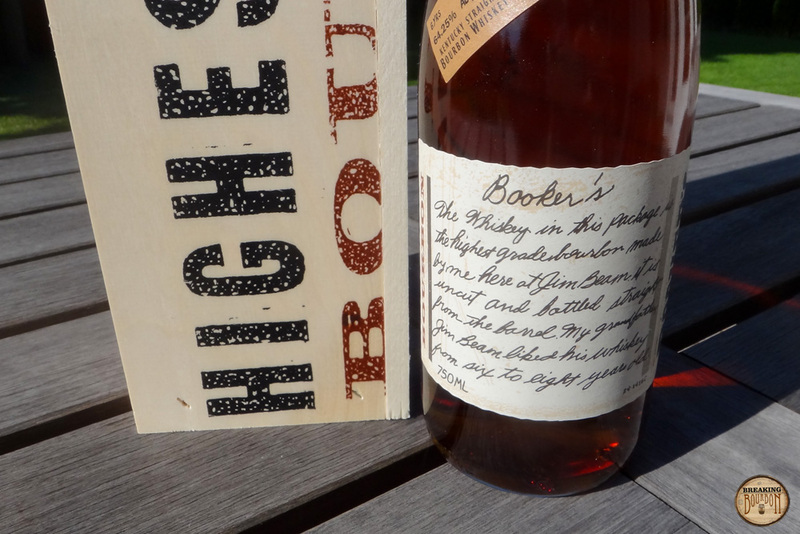 After retiring in 1992, Booker went on to work as an ambassador for the company and traveled the world promoting Beam bourbon until he died in 2004. Booker’s bourbon ranges in proof between 121-131 and is aged 6-8 yrs. It’s the highest proof bourbon in the Jim Beam small batch collection. On first whiff, I got a strong upfront alcohol burn, which is common for barrel proof bourbons. Behind it lingers the smell of oak, light floral notes, and a solid nutty scent. The smell alone tells you to sit down and buckle up! This isn’t a bourbon to be taken lightly. 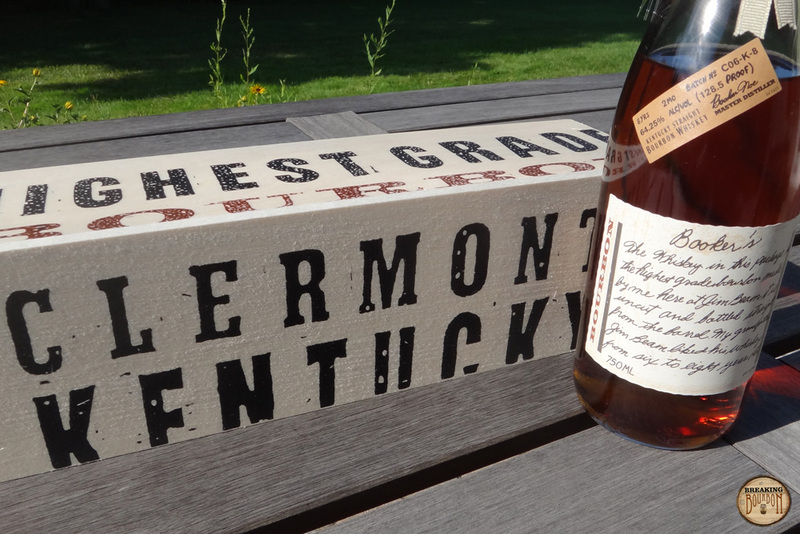 Wow - is this a sweet tasting bourbon…both literally and figuratively! For such a high proof, I was very surprised at how nice the mouthfeel was on this. You get a quick upfront hit of the sugars from the wood, along with hints of vanilla and raisin. Right after that initial taste, my mouth was instantly warmed, as I could feel the heat of the bourbon quickly encompassing every corner of my mouth. This then morphed into the taste of aged wood and light leather. Booker's delivered a long light lingering finish. The flavor burst you get from the palate all but disappears and instead you’re left with a light vanilla and fresh new wood finish. I was surprised I wasn’t blown away with a bold finish considering this bourbon had so much bite up front in the initial palate. Instead, I found myself going back for more and more sips just to capture some additional flavor. 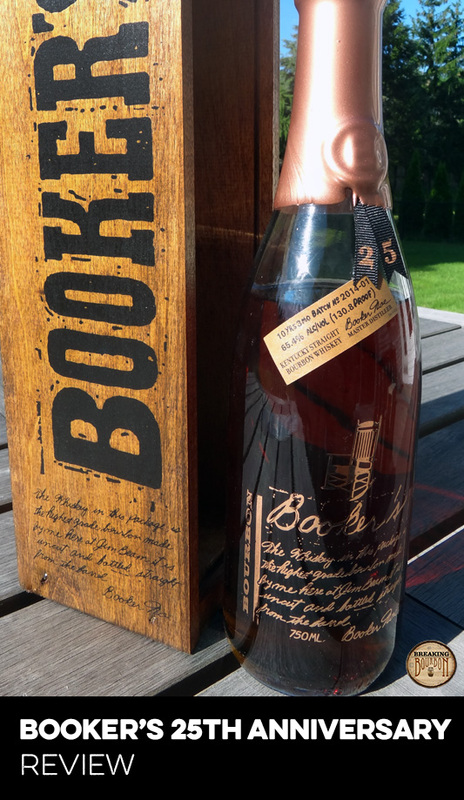 While Booker's may have been the first mass produced barrel proof bourbon to hit the market, barrel proof bourbons are more common now than when Booker's was first introduced. 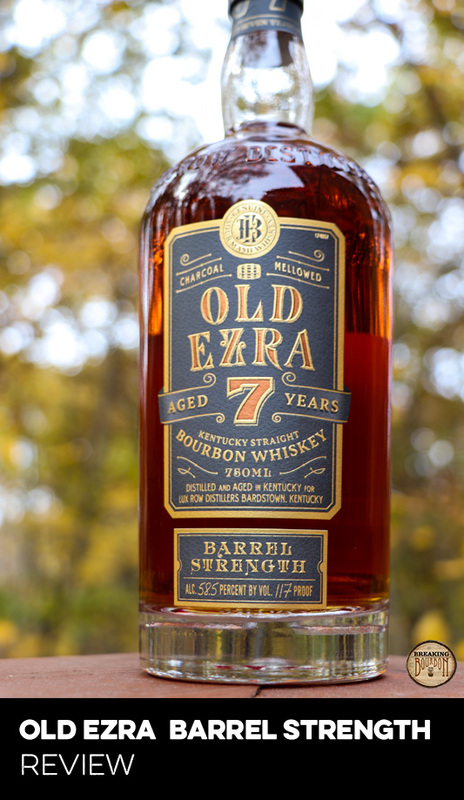 Between many of the Buffalo Trace products, Heaven Hill releases, and a multitude of craft distillers, one can easily find a barrel proof bourbon to try. That being said, Booker's has been able to consistently deliver a quality product year after year. While preferences may vary by batch, you can count on a great barrel proof bourbon with every bottle. While not necessarily inexpensive, Booker's does a nice job of delivering value to the consumer. You get barrel proof bourbon that’s full of flavor and easy enough to drink at a high proof. It’s slightly more than what you would pay for a Stagg Jr. or an Elijah Craig Barrel Proofbottle. However, you can find Booker's on the shelf any day of the week, versus having to camp out outside of a liquor store to find one of the aforementioned bottles. The original barrel proof bourbon stands up to the test of time. Clocking in at 128.5 proof, Booker's allows you to experiment at home by adding as much or as little water as you want until you get to a profile that’s just right for you. After completing the tasting, I added a few drops of water to my glass. While the water didn’t significantly change the nose or palate for me, I did notice a very slight hint of fresh cut grass coming out on the finish. While I didn’t notice much improvement with just a few drops of water, that doesn’t mean you should avoid adding it to this one if you feel it’s too high in proof for your liking. 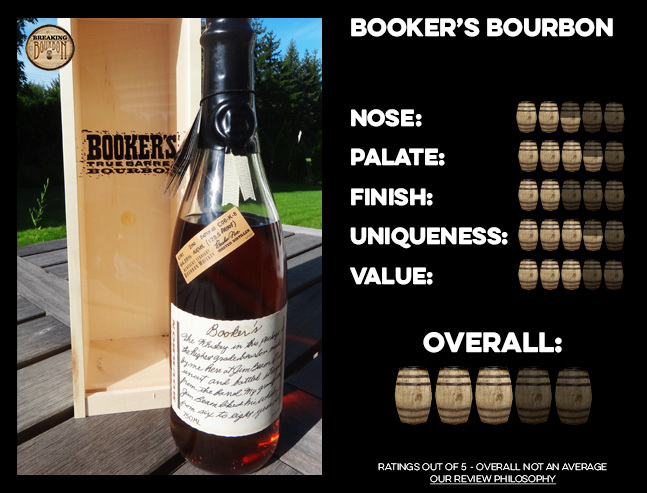 Booker's surprised me at how easy it was to sip for being barrel proof. The sweet taste was really nice and quite enjoyable. Sure there’s better barrel proof bourbons on the market, but it’s nice to know that any day of the week you can walk into a liquor store and pick up a bottle of Booker's and enjoy it when the mood hits you.